Do you make decisions based on real numbers? Is your marketing strategy informed by real customer data? When you combine your marketing strategy with data insights, you get results. It’s time to make decisions based on customer attribution, interactions, and history. 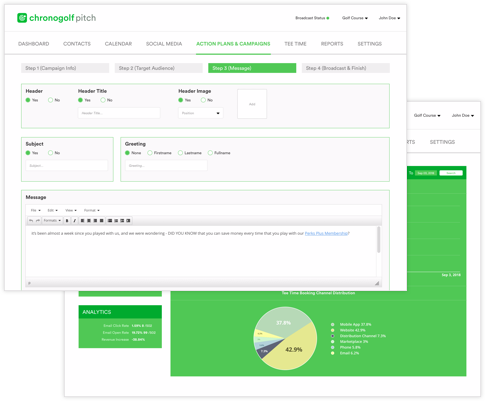 Introducing ChronoPitch: Golf operators are strapped for time, they don’t have enough to send well-targeted emails that are thoughtful and personal. Don’t spray and pray with your email marketing campaign, to cut through the noise in the customer’s inbox you need to send targeted and personal emails. Automated marketing emails make this reality possible. Set up automated campaigns that trigger based on customer interactions, booking channel, defector campaigns, loyalty point balance, or even birthdays! Get the best analytics dashboard in the industry. Our dashboards are powered by SiSense Business Intelligence software and are capable of quickly providing reporting that will change the way you look at your business. 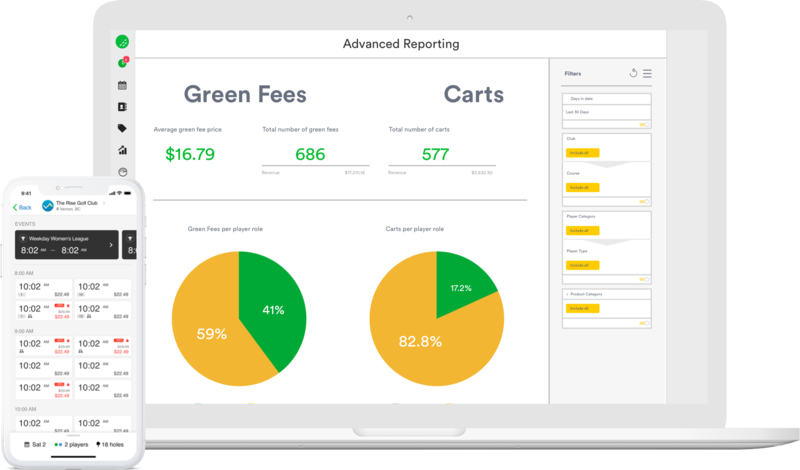 Easily drill down to get the most granular reporting on a specific customer segment, or zoom out to get a macro level view of your entire operation. 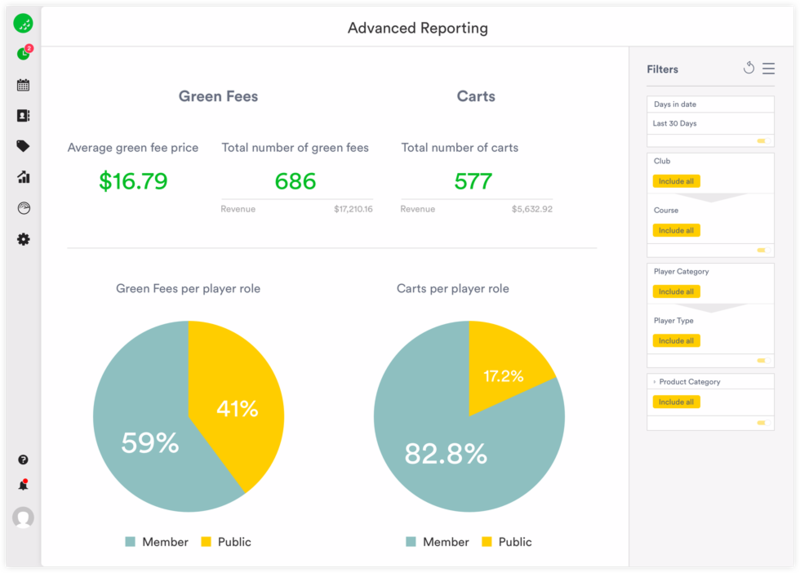 Our user-friendly dashboards are simple to understand and provide clear, actionable insights.